BWRT stands for ‘BrainWorking Recursive Therapy’. It doesn’t use hypnosis or any mystical concept it’s completely logical, practical and down-to-earth and only needs you to know what you want to change in your life for it to be completely successful. 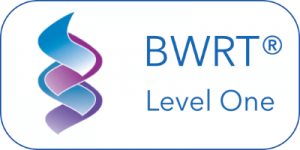 BWRT differs from many other types of therapy, not just in the way that it can help you in one or two sessions, but also because it can be undertaken content free. What this means to you is that if you have a problem that you would feel uncomfortable or unable to talk about then you do not need to. Instead of spending many sessions talking about it you can use BWRT to help you deal with the problem and simply change the way that you think about it. 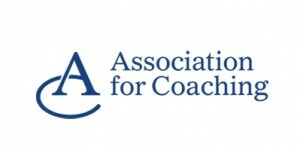 Sometimes in life coaching we’ll get to a place where reason, logic and a change of thinking can hit a bit of a wall and take a long time to impact on your situation. For example, you’re a business executive that flies a lot but you have a fear of flying which spoils your trip and puts you in a bad mood for the duration of your stay because you’re anticipating the return journey. This is where BWRT can help. Logic and reason could help a fear of flying but it could take months or years to cure it. BWRT can do that in one or two sessions! BWRT helps boost the coaching process so we can overcome hurdles relatively quickly and focus on moving forward. BWRT doesn’t just have to be used during coaching. If you have a fear or phobia or something you really would like to change then you can come to me just for BWRT. Get in touch to arrange a Mapping Meeting.